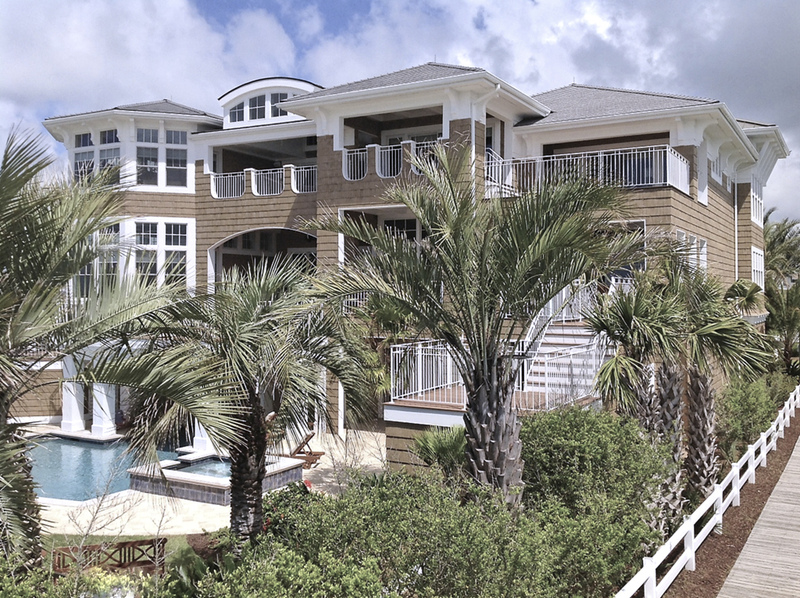 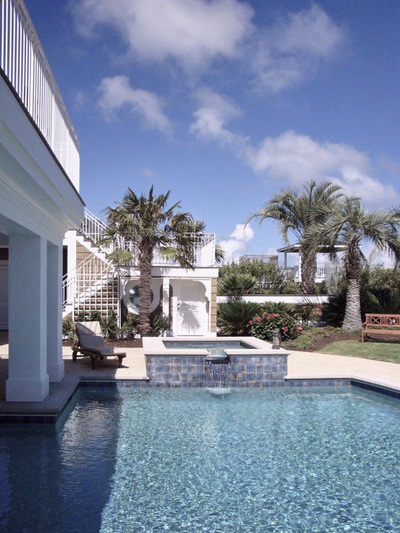 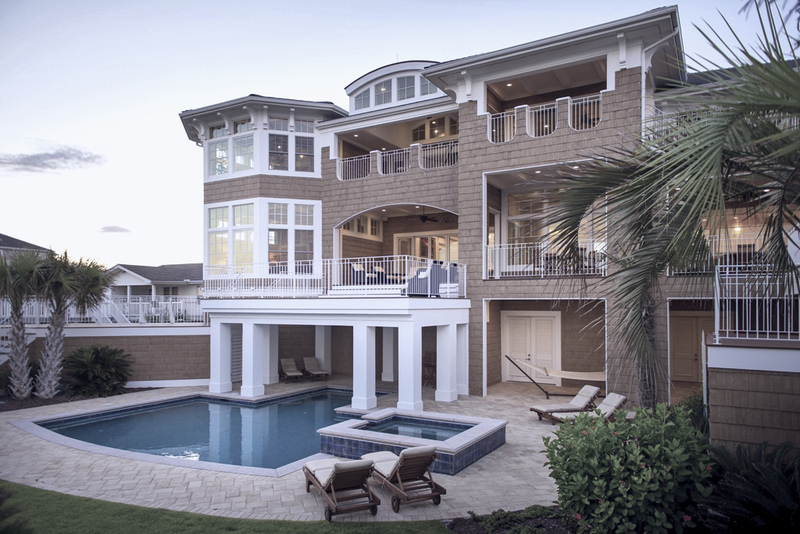 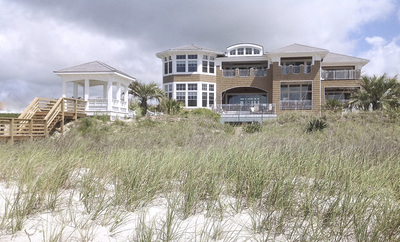 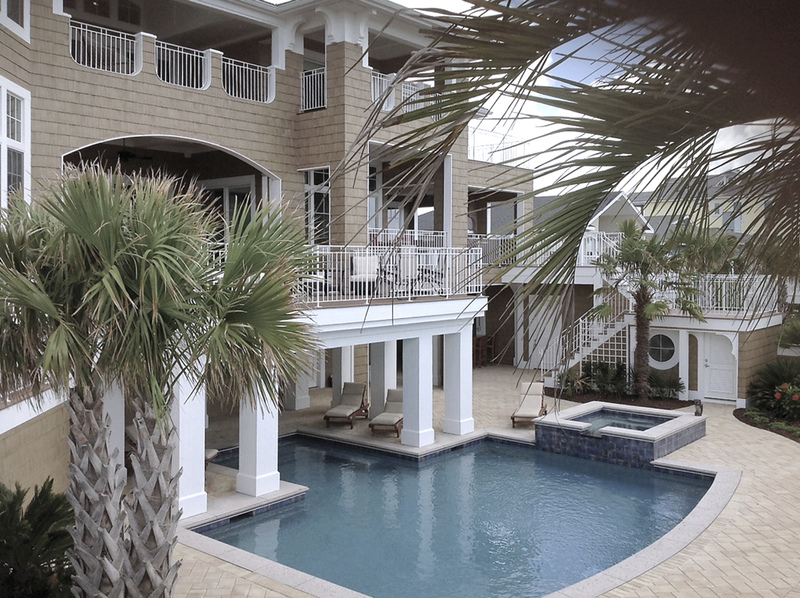 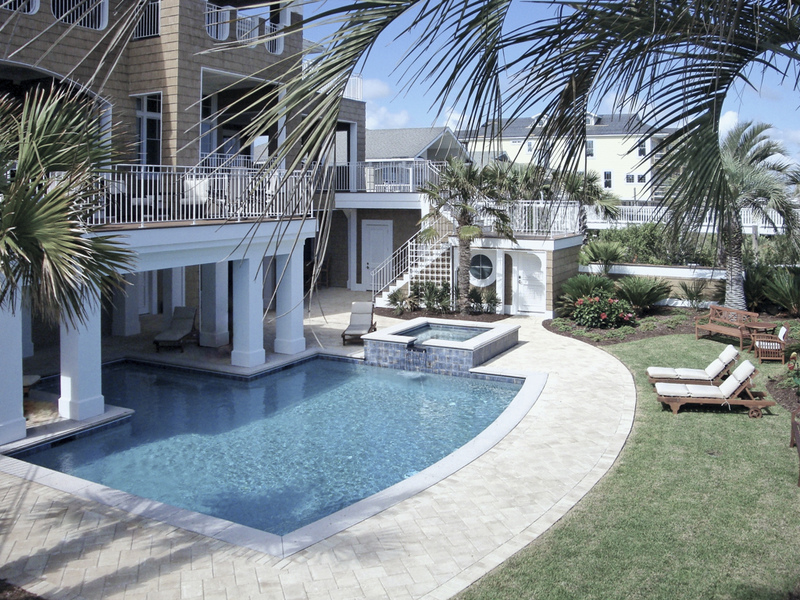 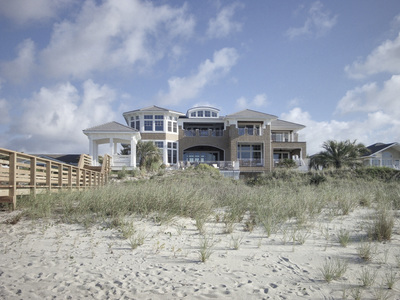 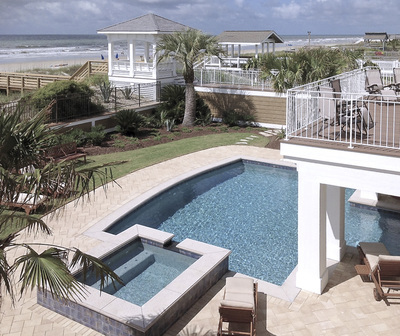 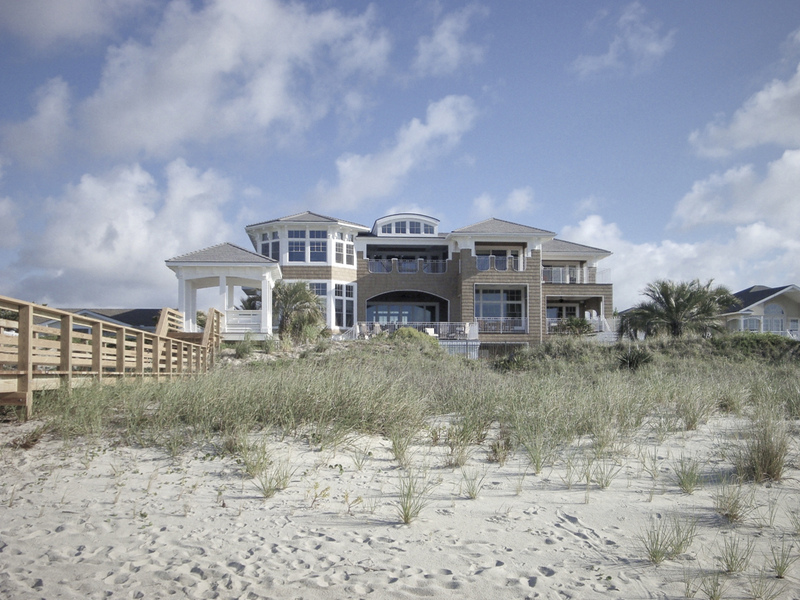 This coastal Shingle-style beach house, sited on the Atlantic Ocean, is a retreat destination for family and friends to reunite and reconnect to the magical beauty of the sea. 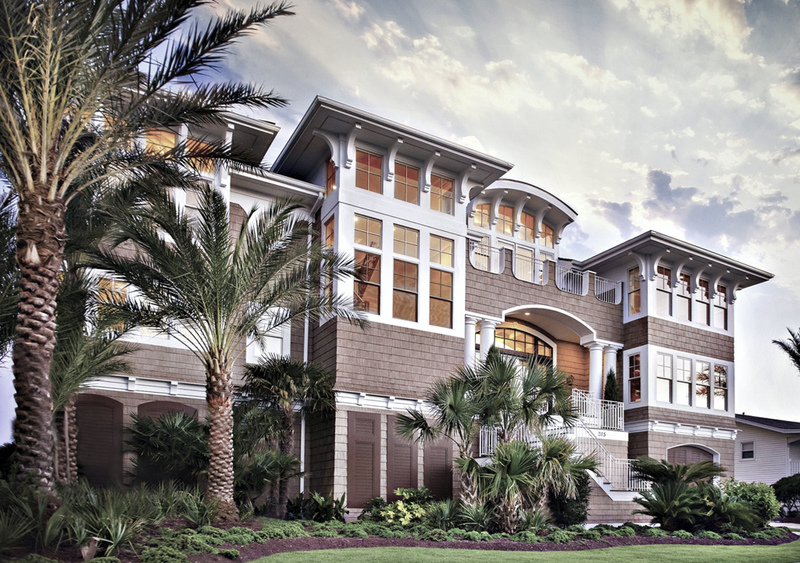 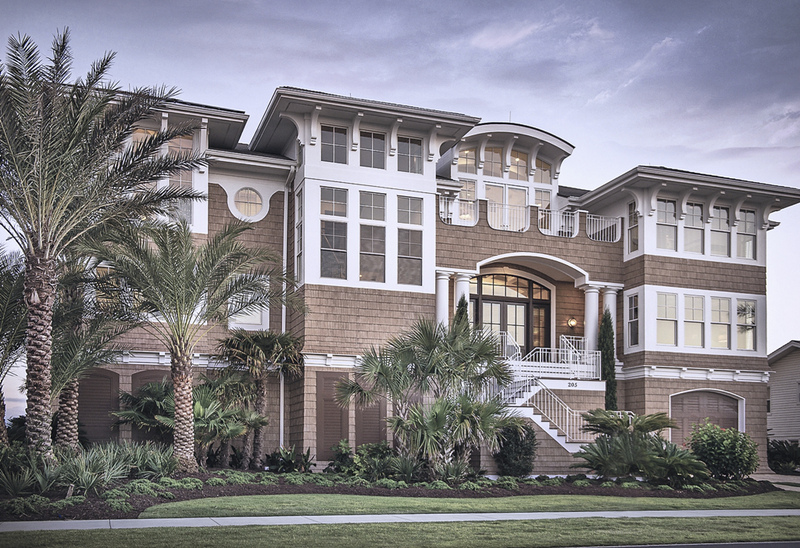 The Shingle-style architecture is inspired by the classic seaside homes of McKim, Mead & White, with a modern-coastal interpretation. Pure, strong geometric shapes are playfully repeated and artfully arranged to create a unified architectural composition. Oversized, sweeping brackets support wide roof overhangs and add a lyrical dimension. 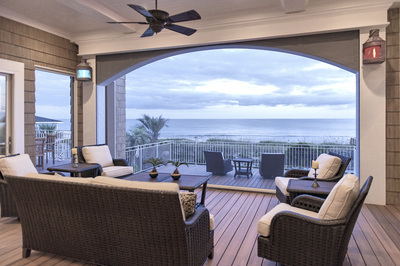 The design concept was to create an experience of being wholly connected to the ocean, with all of the primary living spaces and four of the seven bedroom suites having expansive views of the ocean and direct access to interconnecting covered verandas. 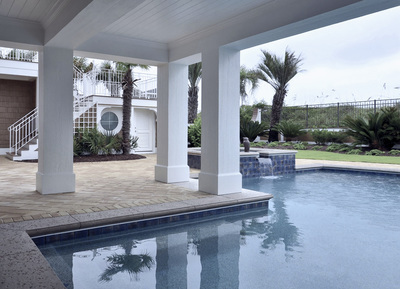 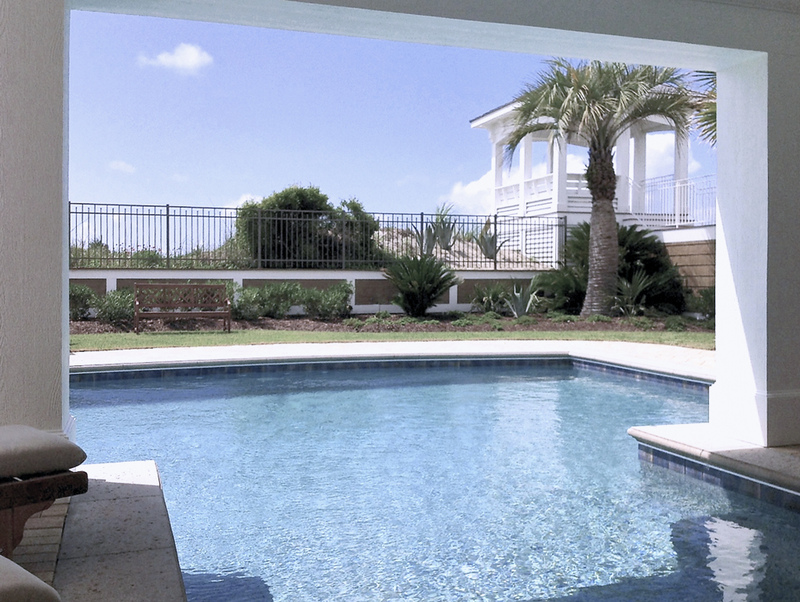 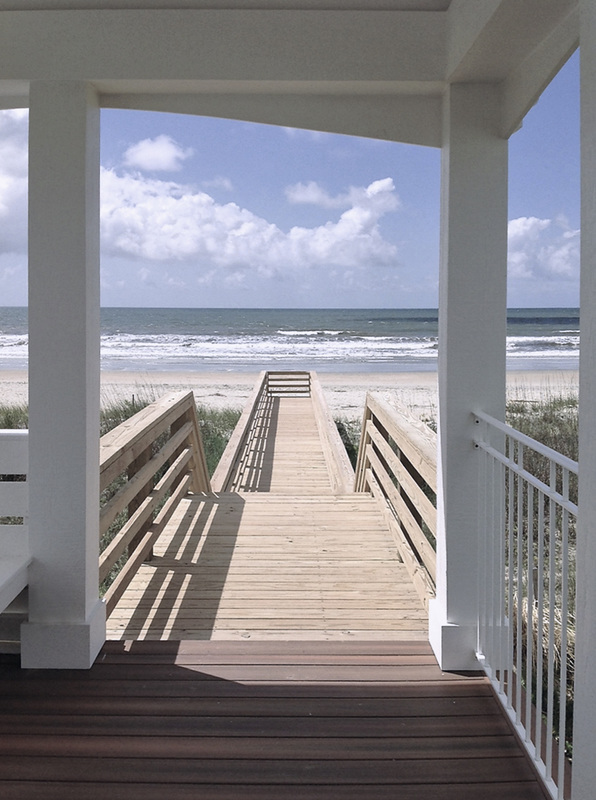 These outdoor spaces provide shelter from rain, wind and sun, and create havens for enjoying the natural beauty of the surrounding seascape. Challenging building codes in this serious hurricane zone require that any “living space” must be elevated a minimum of 14’ above ground for surge waters to flow under. 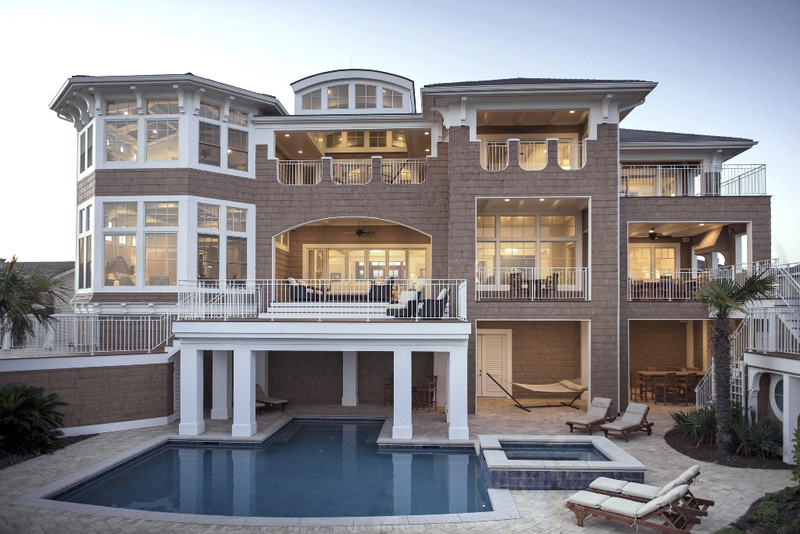 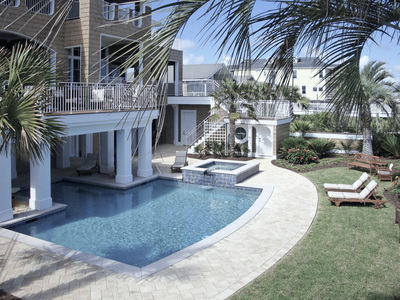 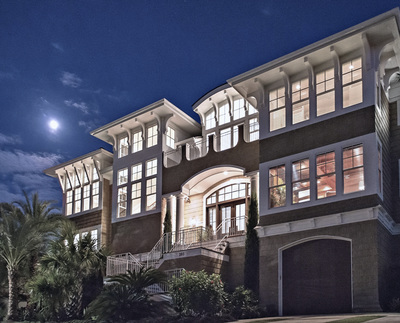 The design solution was to create an 8-car garage under the “living space” by engineering the house with extensive structural steel to eliminate dozens of raised-foundation pilings, and sheathing this ground-level space with a “break-away” wall-façade, consistent with the Shingle-style architecture of the upper-level floors. 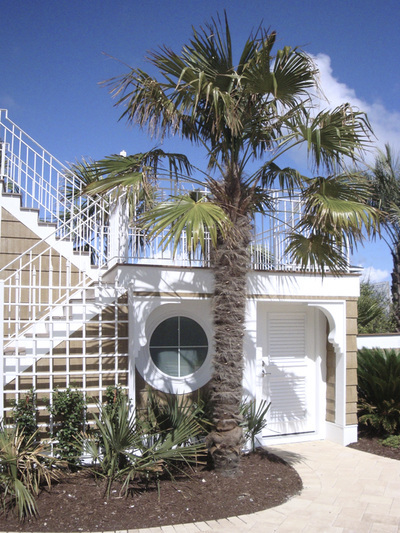 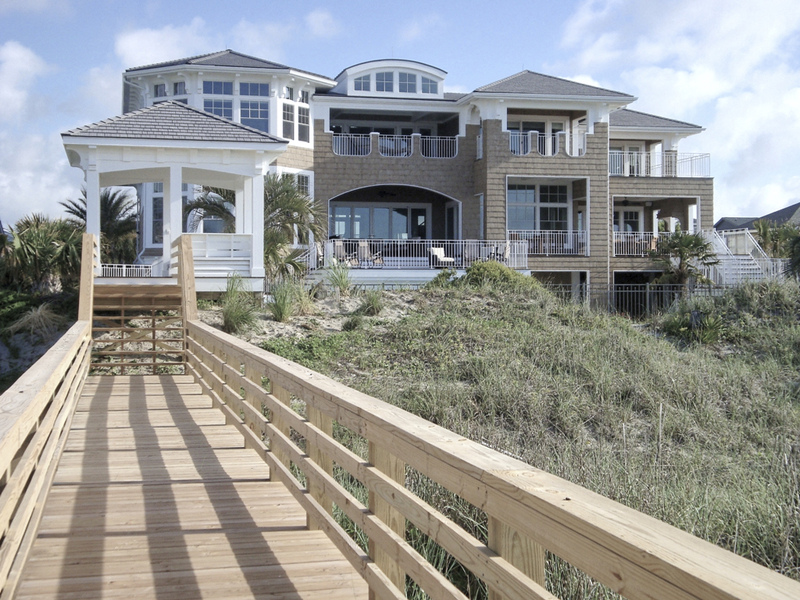 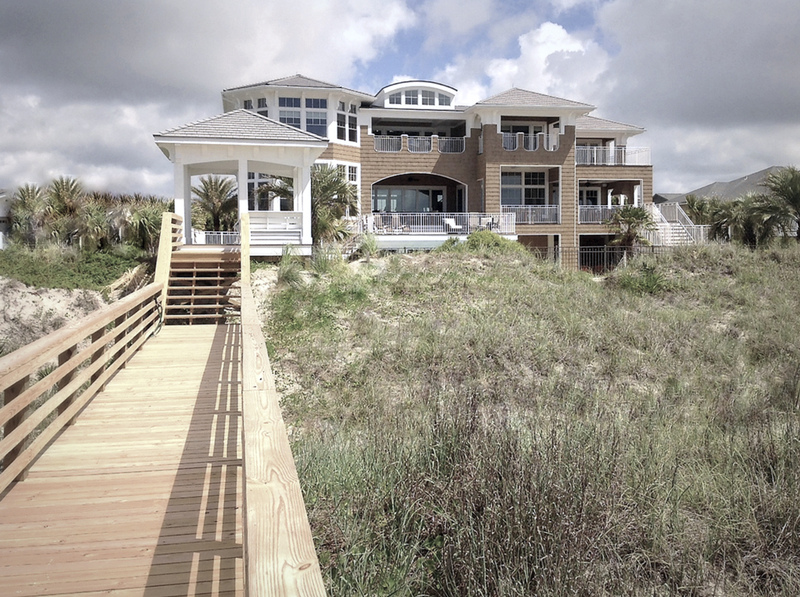 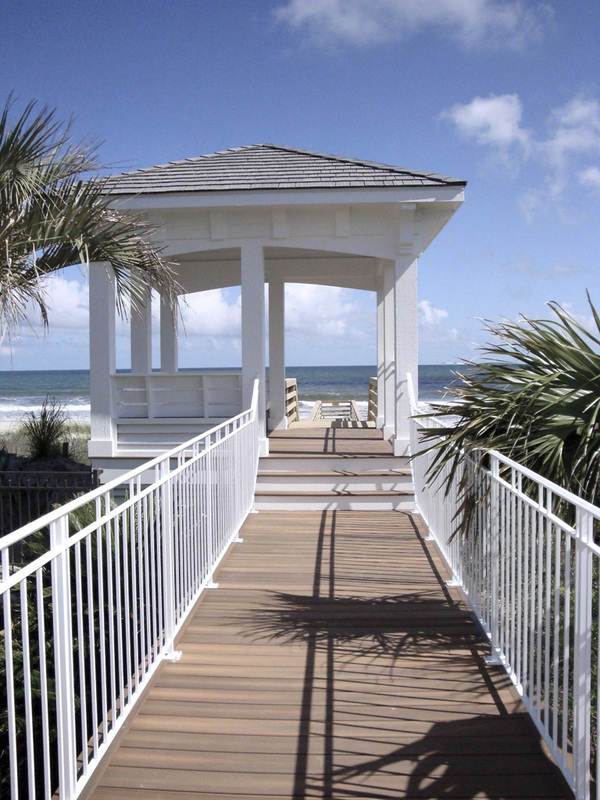 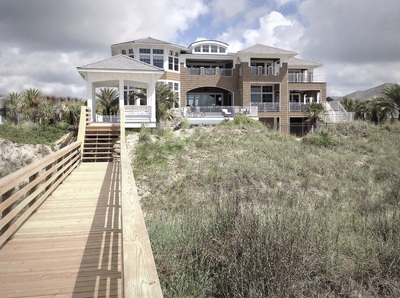 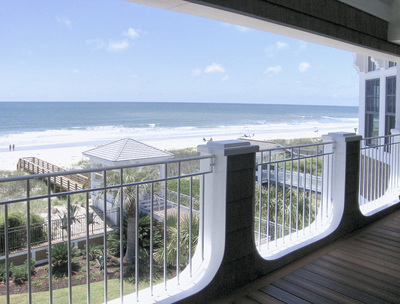 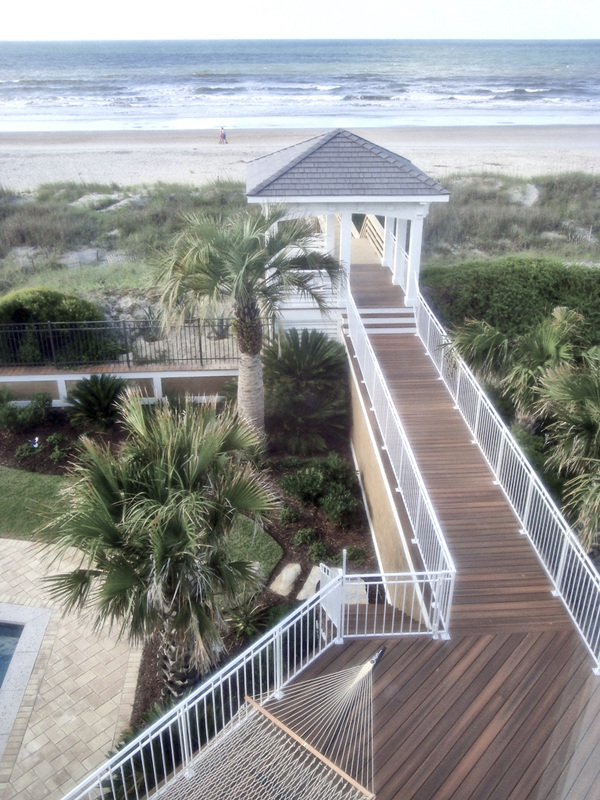 A private boardwalk and gazebo, built on piers above the strictly-protected natural dunes, connects the beach house to the ocean. 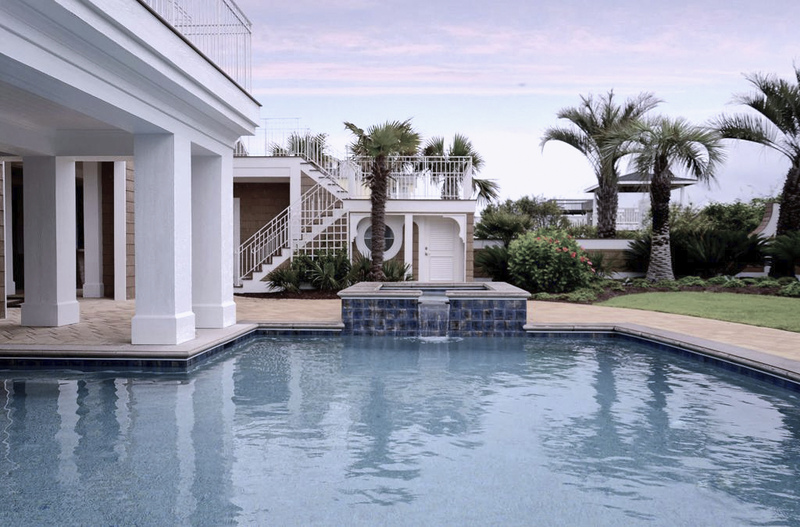 A pool and spa, surrounded by an exotic, subtropical landscape, complements and reinforces the overall architectural expression.